On a mission to bring a long-awaited and much-needed expansion to fruition, Grimes Public Library (GPL) leadership is weighing how to leverage momentum; foster the right level of partnership with other municipal departments as a comprehensive citywide plan gets developed; and deliver to the rapidly growing community the library it needs today and for years to come. 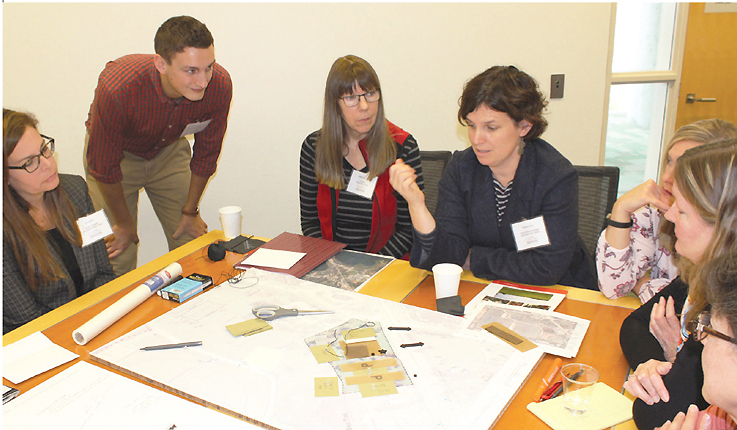 Currently making do in a 6,323 square foot building, the library envisions a 37,000 square foot project to establish the institution as the community hub. A complicating factor: the existing library had a $500,000 face-lift just four years ago, after a prior expansion plan failed to progress. An upside: new land that holds promise has been purchased. The newest branch of the West Fargo Public Library (WFPL) will be a centrally located, highly visible community center in collaboration with a local senior organization and other groups to be determined. It will emphasize technology and STEM (science, technology, engineering, mathematics) resources for a rapidly growing community. 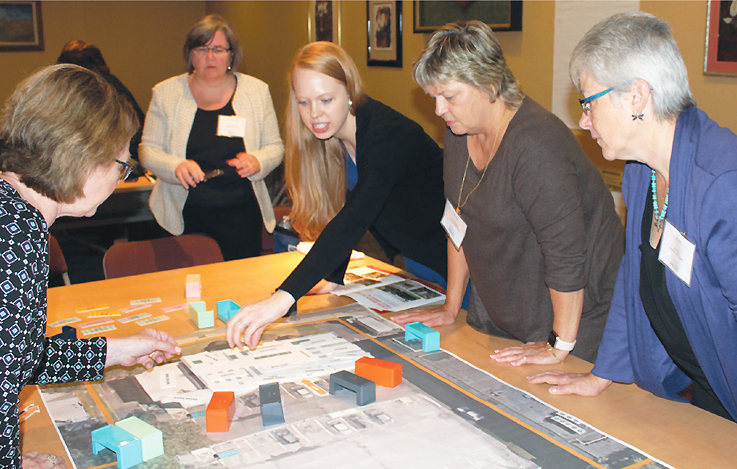 Potential sites have been identified, but the final location and design need to be carefully considered if the library is to accommodate—and attract—a variety of users, particularly seniors. 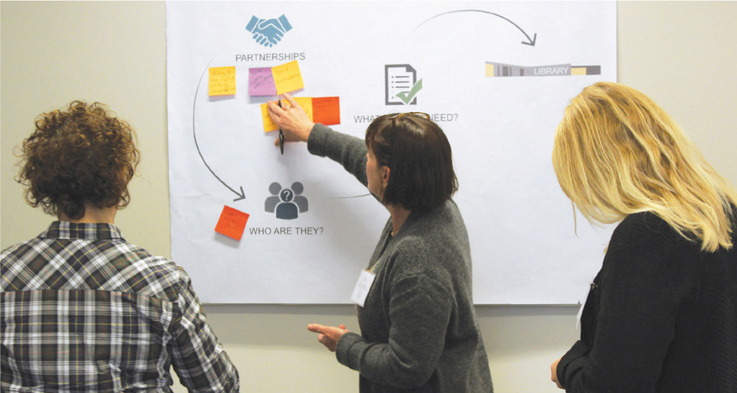 The Madison Public Library (MPL) aims to add to its existing nine buildings and reinvent its scope of services in a new facility, moving from a traditional model to an “imagination center” that will host other agencies, after a robust public engagement process. It will serve an urban population of about 250,000 in a new building of approximately 40,000 square feet. Construction is set to begin in 2021. 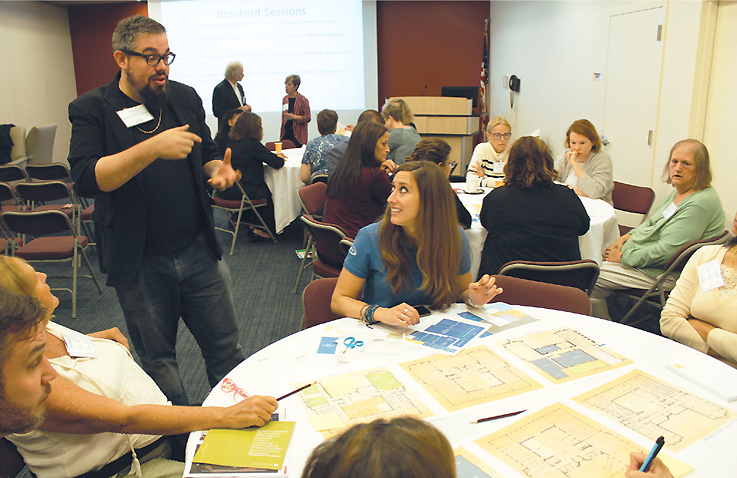 Library leadership is planning a new addition to the current building—a 33-year-old structure that is not Americans with Disabilities Act (ADA) compliant. The library hopes to add onto the back of the building, giving it an additional 12,000 square feet and doubling the library’s size to accommodate a growing family patronage. 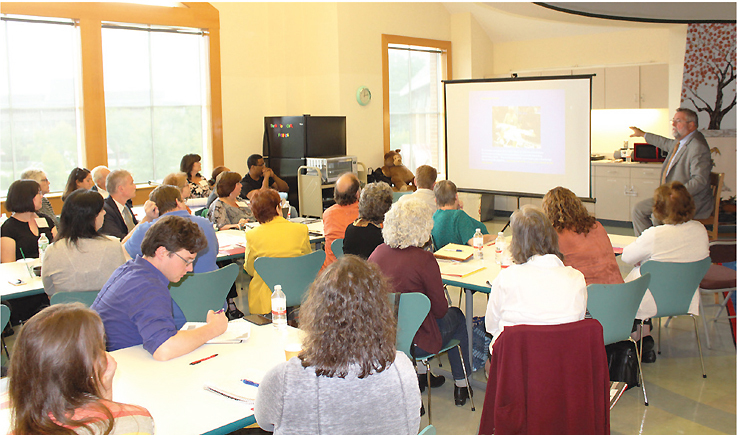 Other goals include establishing the library as community center, adding individual and group meeting spaces, incorporating energy-reducing systems, and possibly housing community partner agencies. The Elizabeth Public Library serves a diverse urban community of 129,000. The library is hoping to add 4,500 square feet to the Elmora Branch’s single-story structure using storage containers to serve children and teens or as group meeting spaces. Director Mary Faith Chmiel explained that Elmora is the most heavily used branch and extremely cramped. Since it is near Port Elizabeth, using shipping containers seemed like a natural fit. An ancillary goal is to reduce the number of entrances: there are now seven. A community garden is located on the property, so integrating indoor and outdoor spaces is an objective. Pennsauken Free Public Library (PFPL) is renovating its 40-year-old building. The library acts as a community, recreation, and senior center, and there is not enough space to implement programming for all these needs effectively. The young adult area is currently hidden in a corner, and moving that section to an open-concept and welcoming space is one of the main goals of the project. The library encompasses 19,000 square feet. PFPL director Tanya Finney-Estrada described the library’s current building as postwar construction that isn’t open, bright, or welcoming, although the space has potential. 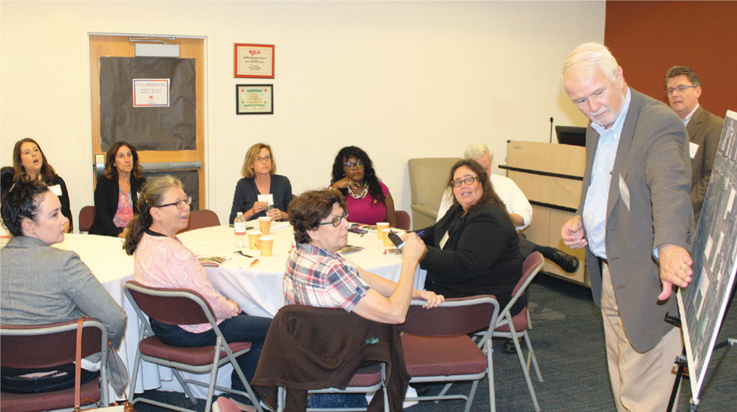 The diverse staff reflect the community of Pennsauken as a whole and have a great relationship with residents. 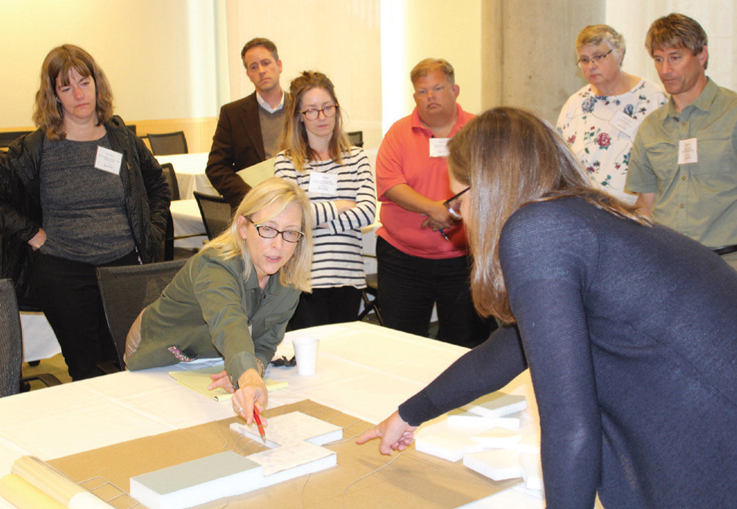 Architect Dennis Kowal, project architect Kelly Smozanek, and interior designer Susan Kowal led participants through an evaluation and review of PFPL’s current space, challenges, and possible renovations. The architects showed photographs of the existing space to illustrate the concerns: limited access to exterior views and light, a lack of defined areas, no distinct young adult section, a lack of varied meeting spaces, and an outdated image, among others. The Free Public Library & Cultural Center of Bayonne is in the seemingly enviable position of having too much space. The massive three-story structure, a relatively ornate 1935 building wrapped around an older Carnegie, has “tremendous architectural presence,” said session architect Jeff Hoover of Tappé Architects. However, the issues with the building start at hello, with almost no parking and several staircases for entry, none of them welcoming nor ADA-compliant, noted Director JP Porcaro (a 2012 LJ Mover & Shaker). Once inside, there is plenty of opportunity for improvement, with a massive service desk, a large reference room with few holdings, renovations that introduced dropped ceilings, and more. 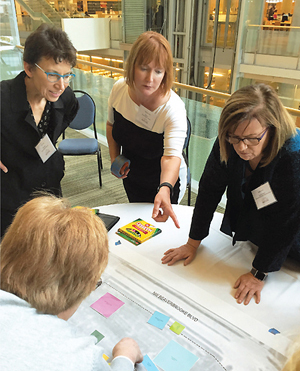 The goal: reinvent the spaces to support engagement and 21st-century learning models. The Scotch Plains Public Library (SPPL) is planning the construction of a new facility. Library leadership wants to design a state-of-the-art building that will accommodate not only the current needs of the community but also expected growth driven by redevelopment. Priorities for the new design include multiple meeting rooms, high-traffic computer use, and a focus on people instead of collections. The new library will be 30,000 square feet and will break ground in June 2019.